CSS Blend modes are underutilized and can be used for a variety of things from improving image performance to creating scalable styling. This talk goes over some case studies where blend modes can make a big impact, talks about browser support, and also discusses workaround for including blend modes where they aren't supported. Tour the wide world of CSS Blend modes and learn why you may want to introduce them in your own web-based projects today! 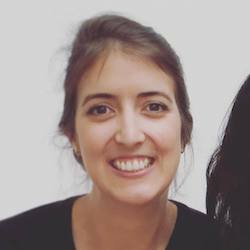 Una is an international speaker, technical writer, open source advocate, and Senior UI Engineer at DigitalOcean. 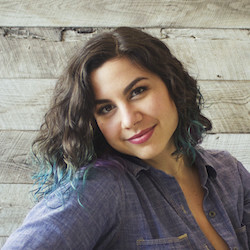 She’s written for various online publications such as A List Apart, Smashing Magazine, and Sitepoint. Una also co-hosts the Toolsday podcast and started both the DC and Austin Sass Meetups. She's a performance nerd, loves the open source community and listens to way too many audio books. In this talk, you'll learn about code linting – how to use Standard and ESLint to catch programmer errors before they cause problems for your users. We'll discuss how to get started with linting, as well as how to improve your setup if you're already linting your code. 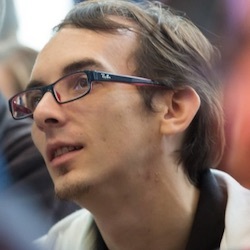 Feross will also share the secret history of how the Standard linter was created, for the first time ever in a conference talk. Feross is a mad scientist who enjoys building software that makes people say "Wow, I didn't know that was possible!". 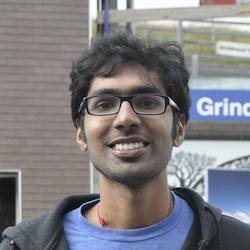 Since graduating from Stanford in 2012, he's worked on PeerCDN and maintains several popular open source projects including WebTorrent and Standard. He's currently working on a new website for Node.js documentation. What does it take to navigate a website with your eyes closed? Let Giang & Dickson, pioneers of the Web Accessibility (A11Y) movement in Singapore, walk you through the daily challenges they face, what it means to them, and how their experiences interfacing with websites purely through audio can help you identify new experiences for your sighted users through case examples. 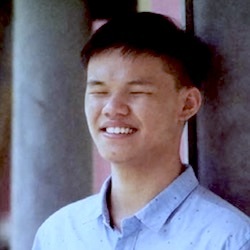 Giang earned himself a computer science scholarship in Vietnam, interned at Intel and Captcha before joining Grab as the companies first fully blind coder. 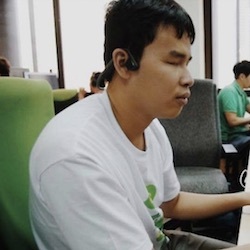 Today he manages accessibility at Grab and co-leads (these)abilities’ Web & Mobile Accessibility Initiative. 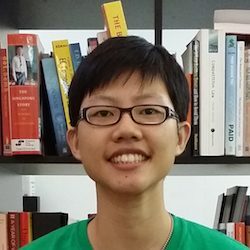 A true lifehacker at heart, Dickson is pursuing a degree in Computer Science in the NUS School of Computing and represents Singapore at accessibility conferences. He interned at Singtel IT and GovTech and is also the co-lead for (these)abilities’ Web & Mobile Accessibility Initiative. Data sketches is a collaboration between Nadieh Bremer and Shirley Wu, where we choose a topic and visualize it by the end of the month, and write about our process. In this talk, we will share our favorite months of data, sketches, and code: what made them our favorites, the mistakes we made along the way, and how we overcame them. We want to share our lessons learned to highlight that, though many of our visualizations had humble, ugly duckling beginnings, we were able to produce unique and compelling results through many (embarrassing) iterations. Shirley is a freelance software engineer specializing in data visualization. She combines her love of art, math, and code into colorful, interactive data visualizations. She enjoys finding fun insights in data and weaving them into stories and exploratory tools for the reader to discover. Her work can be found at sxywu.com. 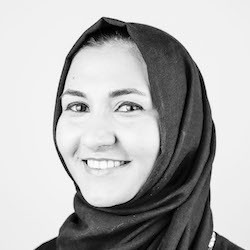 Nadieh is a graduated Astronomer, turned Data Scientist, turned self-taught Data Visualization Designer. After working for a consultancy & fintech companies where she discovered her passion for the visualization of data, she's now working as a freelancing data visualization designer under the name Visual Cinnamon. Are you working with a big Frontend application and you are facing some problems in your project? Do you want migrate your frontend from another framework or library and don’t know how? Don't you know how to manage different layers of complexity in your application or share these components between applications? In this talk, I will share my experience and decisions creating micro frontend applications, how to manage quality, deployment and more that makes your team deliver more valuable features giving you the power to migrate, improve, evolve and experiment in your product. 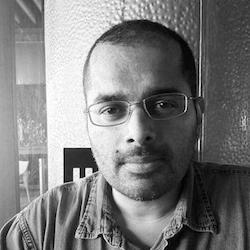 Based in San Francisco, by way of Vancouver, Canada and Singapore, Shaz has nearly two decades of software development experience getting with the nitty gritty of Windows, OS X and iOS and probably helped code something you know. 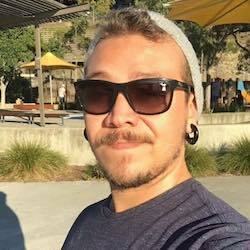 Currently he is on the Adobe I/O team and also helps maintain the iOS platform of Apache Cordova + Adobe PhoneGap and has been part of that project for quite some time. 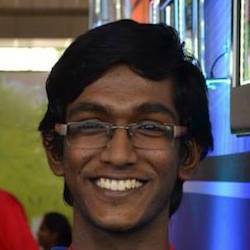 His favorite topics include service workers, progressive webapps and JS on microcontrollers. Tony is a digital product development leader at DBS Bank in Singapore, with experience in delivering large and complex web and mobile products and infrastructure in the e-commerce, financial services and payments industry. This talk traces the parallel history of western and eastern typography from handwriting to the internet age, setting the context for how the web is a brand new medium for typesetting. CSS allows us to implement advanced typographic features and multi-directional layouts, that not only benefits internationalisation, but opens up a myriad of options for creative and interesting layouts in general as well. 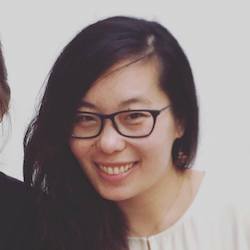 Hui Jing is a self-taught designer and developer with an inordinate love for CSS. Reducing lines of code in her web projects makes her extremely happy. She used to play basketball full-time and launched her web career during downtime between training sessions. At 10am on Black Friday, your phone rings: the new JS application you deployed came under too much load, and the site has gone down! Your employer is losing sales opportunities... your employer is losing money! But you don’t lose your cool. You log into your cloud provider and tweak your autoscaling settings. Now the deployment can handle the load spike but with four times the number of servers, which is four times the cost. The next day, you try to analyze what happened and begin to optimize your application to prepare for future load spikes. This talk is a journey into the world of Node.js performance, taking a look at the available tools and optimization techniques inspired by insight gained from glimpsing under the hood of Node and V8. 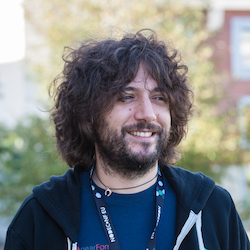 Matteo is a code pirate, mad scientist and part of the Node.js Technical Steering Committee. As a Principal Architect at nearForm, he consults for the top brands of the world. 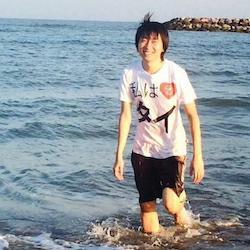 He authored Node.js MQTT Broker, Mosca, the fast logger Pino and the Fastify web framework. 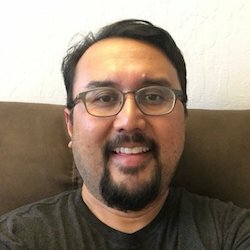 David is a Fellow in Mozilla’s Emerging Technologies group, providing technical expertise for Mozilla's engineering and leads its Developer Outreach team. Before this he led product engineering, marketing, sales enablement and technology licensing at Bell Labs, Sun and Nokia. Throughout his career David has been motivated to build Internet and computing solutions that matter to people. Bring your laptop to test your HTML and CSS skills, have fun and win amazing prizes. Free drinks for JSConf.Asia attendees, friends welcome! Pick your workshops during ticket sign-up. Seats are limited. Requirements: Participation requires a recent version of either Linux or macOs, or otherwise a VM running a recent Linux version. They will need root/admin access, and the ability to build native node modules. Follow these instructions. VR is cool, Web is great - how about WebVR? In this workshop we will be creating a WebVR application using A-Frame. We will explore the WebVR API and the A-Frame library to build a small VR application that works in your browser - even on your phone! Requirements: Make sure your laptop is capable of rendering 3D graphics in the browser by visiting https://get.webgl.org - if you see a spinning cube, you're ready. If you have a smartphone that is WebGL capable, bring it too (and have it charged)! 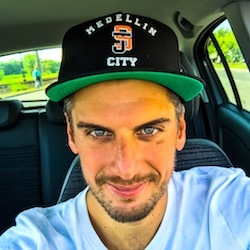 Martin is open source contributor, WebGL tinkerer and web evangelist by heart from Zurich with a decade experience from the trenches of software engineering in multiple fields. He works as a software engineer at Archilogic in front- and backend. He devotes his time to moving the web forward, fixing problems, building applications and systems and breaking things for fun & profit. Learn how to better use React/Redux for building awesome user experiences, using optimistic transactions and data preloads. Also, we will explore advanced topics such as Hot Code Reload, Testability, Performance Monitoring, etc. Requirements: Latest version of NodeJS and NPM installed before the session. 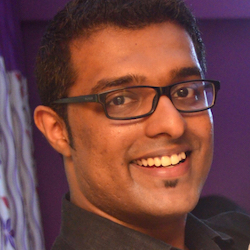 A Tech Lead and Frontend Architect at PALO IT, Guru is responsible for leading many frontend projects for global banks. His expertise includes, but not limited to, both worlds of Angular and React. 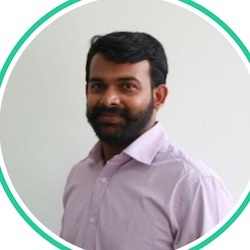 He is also a stern believer in Agile, strives to find ways to make processes simpler using technology, and loves to use design thinking recipes to frame problem statements, prototype and find solutions. Do you cringe when you have to design and build layouts on the web? Do you get frustrated when things never go where you want them to on your page? Creating custom layouts is not a trivial task, no matter what your sales rep or account manager says. Fortunately, browsers now support a plethora of CSS properties that make building creative layouts much less painful than before. This workshop will cover a range of techniques for building cutting-edge web layouts with fallbacks for older browsers as well. It will be a practical workshop with code examples you can refer to for your future projects. Writing and maintaining CSS for one site is very different from two… or five… or more! We'll get hands-on with different methodologies and learn how to go large with CSS without losing our minds along the way. Requirements: Bring a laptop and a code editor of some description. Shortly before the workshop, please clone this repo. Chris started out as a web developer when Netscape ruled the world and is currently an engineering manager at CXA in Singapore. 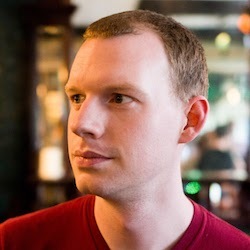 He has written for Net Magazine and SitePoint, and founded community group Singapore CSS because someone had to. Aside from musical distractions and accumulating frequent flyer points, Chris and his wife Sarah can be found in the company of their small human. The workshop will be on creating robots using JS. We hope to have people build party themed robots. The first 2 hours we will be teaching about getting started and how to control each device (servos, LED etc). After this the attendees can come up with there own idea about a party robot they would like to make and the build it with the rest of the time. Requirements: Install Arduino IDE. Have NodeJS installed. Make sure your USB connections work. Requirements: Ideally the latest Node.js 8.x or 9.x installed along with their favourite code editor (Visual Studio Code recommended). Welcome to our Hacker Deck by the sea! Prepare for a free flow of ideas, quick presentations, a robot cocktail treasure hunt, nitro coffee and time to code with wildly amazing people. It's as close as you'll ever see a hackathon at a JSConf. This catch-all session is hosted in a shaded and roofed area outside. Plenty of hydration and tunes to chill will be provided. Ethereum is the wunderkid of the blockchain space. Decentralised Smart Contracts coupled with web3.js mean that you can integrate your distributed app with your front-end to improve your user experience. Requirements: A notebook with chrome would be preferable. Good options to install would be parity and/or metamask as well as the usual tools. Dave is the lead blockchain developer for HelloGold in Malaysia where he attempts to bring a better means of saving to those not well served by the finance industry. Between raising awareness of phishing attacks and scams, he spents his time as a programmer, hardware engineer and lecturer in Singapore and Malaysia. Casual AR and VR on the web allows people to create and consume augmented and virtual experiences easily and more freely. WebVR takes advantage of the web, the largest and most accessible software platform in history, to close the content gap and help AR/VR gather steam with the masses. This Lab lets participants work together to create an VR/AR content for the Web using Mozilla’s A-Frame toolkit. For this workshop, participants will ideate and do a code/design sprint on the theme 'Augmented City'. Come together with other web developers to experiment and create AR and VR on the web! 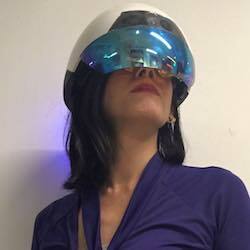 Vanessa is a Founding Member of the XR Alliance and President of the global VR/AR Association (VRARA) Singapore Chapter. She is also the founder of the XR/VR/AR Women in Asia Society and co-founder of the WebVR Asia community. 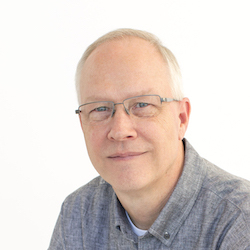 Christopher is an angel investor and industry mentor to the fields of Deep Technology, AR and VR, and is a vocal evangelist of these industries globally. 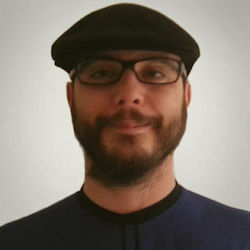 He has led interaction and animation teams and was a key committee member that brought the SIGGRAPH conference to Asia. 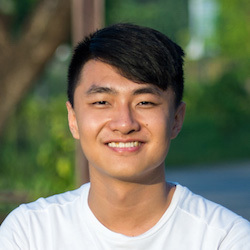 Christopher is a Founding Member of the XR Alliance and co-founder of the WebVR Asia community. As developers, we take great pride and responsibility in ensuring a safe and seamless experience for visitors. However, this isn't very much the case for 39 Million blind and visually-impaired people. While America & the EU pledge efforts to make all governmental service websites accessible, there are no systems in place in the APAC region. Join us to find out what it takes to make a web experience truly seamless for those living with blindness and visual impairment, complete with challenge tasks and some prize swag. Requirements: Participants should come prepared with an Apple Laptop (Macbook, Macbook Air) running El Capitan 10.11 minimally, a laptop charger & a pair of headphones/earphones, a mouse if your trackpad is not working and Firefox browser installed. In this workshop, we will cover the basics of SVG - especially SVG paths and the cubic bezier curve command - as well as an introduction to D3.js's selection, data-binding, and enter-update-exit patterns. The culmination of the workshop will be to create a set of flowers out of movie data, a simpler version of the film flowers here. The workshop will cover different techniques on adapting websites to the upcoming HTTP/2 protocol. By the end of the workshop, participants would be well equipped with the tools and skills required to update and deploy a production-ready HTTP/2 website. We will be discussing the problems of HTTP/1.1 and how HTTP/2 helps obviate hacks such as bundling, domain sharding, etc. that were required in the HTTP/1.1 world. We will then discuss new architectures and paradigms enabled by features like HTTP/2 PUSH and the caveats to keep in mind when deploying such features to your users. Participants will learn to analyse, measure and optimise common performance problems when deploying such applications by working through the exercises in the workshop. They will also learn how to adapt their front-end tooling to be HTTP/2 ready. Finally, we will be talking about some of the new standards and protocols that are coming up after HTTP/2 and how to remain ahead of the curve. 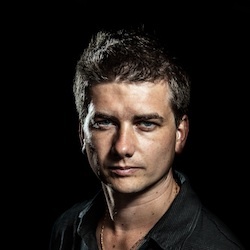 Sebastiaan is a Singapore-based indie hacker. 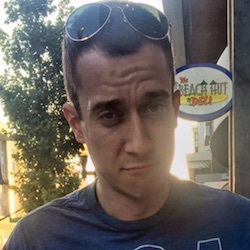 His recent open source work on HTTP/2 made him a Node.js Collaborator. 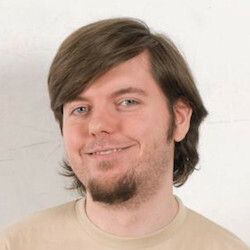 He founded http2.live, the next-gen CDN that served you this website. Have you ever had a bug where things were happening in the wrong order, or particular style changes were being ignored? Ever fixed that bug by wrapping a section of code in a setTimeout? Ever found that fix to be unreliable, and played around with the timeout number until it kinda almost always worked? Hopefully you'll never have to use setTimeout hacks again!" Jake is developer advocate for Google Chrome. He's one of the editors of the service worker spec, so he's into offline-first, push messaging and web performance. Building a bot isn’t hard… or is it? 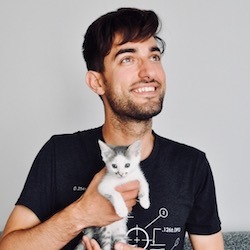 In this session, we’ll be going through fun code stories and demos to uncover some best practices in building bots and NLP models. Find out about common challenges & limitations faced, and the top scenarios and myths when it comes to bots for enterprises. In this session, I will share personal stories during my bot building journey, and learnings from the successes and failures that resulted. Alyssa works with Microsoft's Commercial Software Engineering team and is the resident expert in bots. 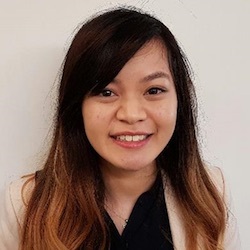 Featured in VentureBeat as one of the top 100 people to watch in the chatbot space, she loves working with startups and enterprises across Southeast Asia and bringing their bots to life (not literally). She is also a part time bubble tea addict, cryptocurrency trader and student of life. On-stage show case of the Node.JS Party Robot Workshop yesterday. Get ready to parteeeyy! Ever started a project you didn't finish? Ever sat and stared at the screen, knowing you wanted to make something, but unsure of what? Ever felt like you're alone in making something? Well this talk is for you. 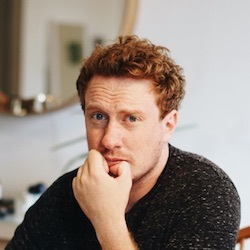 Tim is a tinkerer, tuner & tamperer of all things online, and a massive fan of alliteration. He prides himself in the overall uselessness of the code he's written, as well as the overall joy it brings to the world. Recognizing code smells is an important skill that helps you build maintainable software. This talk is about code and design smells in React applications, based on the experience working in a 2-year-old project with more than 900 components. Thai is a front-end architect at Taskworld. 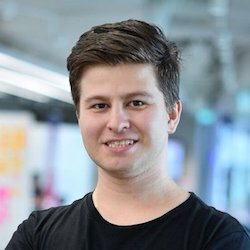 He’s interested in the ways of building better software with better design, and helps organizing a React meetups in Bangkok. He likes to code and make music for fun. He also develops an open-source web-based rhythm game in his free time. It's 2018 and websites are increasingly becoming the primary way to access services. Brilliant! But what about the impact of inaccessible sites on users? In this talk, we'll go through practical steps to consider accessibility when building products - whether you're the sole dev on a project or part of a larger organisation. I'll share my experience at BBC News, as an accessibility champion: how we carry out accessibility research, reviews & tests. Sareh is a web developer at BBC News, in London. She's interested in web accessibility, performance and all the various things that improve a user's experience of interacting with websites. If we want to make things work, we need to communicate with other people. We need to talk to our users, audiences, colleagues, clients or even our bosses. We want to share our ideas and make sure they get it, so we can produce work that we're proud of. And right now, in our world, we mainly communicate through text. We talk through 140 characters, chat messages, blog posts or even README documents. We write everyday. But how do you write better? How do you improve your communication so hopefully the other party listens (or reads) and performs the action you wish they do? In this talk, I'd like to share with you what I learned from writing about code for four years – I'll share surprising things I discovered, and how you can improve your communication and get people to take action. Chances are that if you work in software, you spend time building applications. Between features, deadlines and bug fixes, it's easy to move performance to be ""nice to have"". But what do you do when user interactions drop off, and users start complaining? Instead of having a traditional, reactive approach to performance — what if we could be proactive instead? What if we could monitor performance continuously, and make informed decisions on which issues to tackle. In this talk, I would like to focus on continuous performance monitoring to tell a story of user interactions. We will look into working with Performance API in your environment, and give you simple methods to tell and read a story of your transactions. We will specifically take a look at creating timings, working with observers, and tracking transactions from frontend to backend. 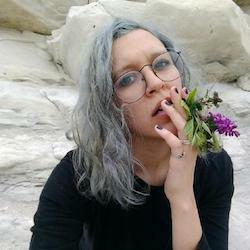 Irina is a Berlin via London via Vancouver (geeeez grrrl) software developer who is, oh hey, hello, really into Node.js. She writes the coolest of nodes over at scripto.cc and contributes to a few OSS projects. Away from the computer, she is exploring the outdoors, gushing over trains and likely at a ramen shop™ reading some Beatniks. We do like our Holy Wars, don't we? — tables vs CSS? Responsive vs mdot? React vs Angular? CSS or CSS-in-JS? Let's look at the real issue: getting the free and open web to the other 4 billion people. Bruce has been working on the web since 2002. 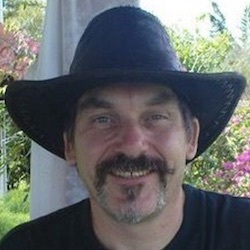 He was a member of the Web Standards Project on the authoring committee of BS8878, the British Standard for commissioning accessible websites, helped develop HTML responsive images, was on the W3C Mobile Web Apps Best Practices Working Group, and co-authored "Introducing HTML5", the first full-length book on the subject. He was Deputy CTO of Opera Software until 2016, and now helps Wix Engineering with web standards and products. 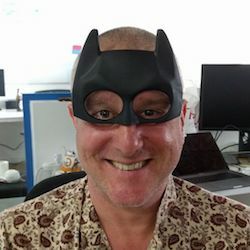 Considering giving a talk at JSConf.Asia or any other technical conference, but not sure what to talk about? Or simply can't get started on writing the talk proposal itself? Come join us at the very first RFP & speaker workshop in Singapore, where you will meet conference speakers and speakers to-be. Hui Jin and Chris celebrating more than 2 years of Talk.CSS meetup with an afternoon full of special guests from around the world. Day 1. Conference talks and keynotes. Highly distributed lunch, snacks and great coffee. Standard Chartered is welcoming to our popular after-party coding competition: Test how good your HTML and CSS skills really are: Recreate a website from scratch within 15min and win amazing prizes! Drinks free for all our JSConf.Asia attendees! Day 2. Community workshop day, hands-on sessions, great food and the DBS beach-party. It's a long tradition: Post conference Kopi! KopiJS is a casual and relaxing coffee/brunch hangout among all developers, designers, makers and like-minded people. No JS required.